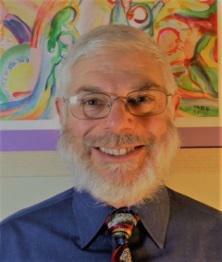 Joseph Morgan MD, is a Diplomate of the American Academy of Cannabinoid Medicine. He practices in Pennsylvania and teaches a 4 hour certification course to MDs and Pharmacists required for recommending cannabis there. He will be teaching Endocannabinoid System Basics this year. U.S. Patent Pending (US20150313868A1) “Cannabinoids and terpenes for the treatment of organophosphate toxicity,” includes nerve gases. Presented White Paper to US Army Medical Countermeasures Systems at Fort Detrick, MD March 2015. Licensed to Intiva BioPharma (NTVA). Authorized presenter by Dept. of Health of Pennsylvania actively teaching, via Univ of the Sciences, the 4 hour certification course for MDs and pharmacists to recommend MMJ/ work in Dispensaries. Author of articles in JAMA, Obstetrics & Gynecology, Ultrastructural Pathology, and abstracts at International Cannabinoid Research Society and American Society of Clinical Oncology. Speaker on topics, including legislative and clinical considerations for Cannabis use to reduce harm from the opioid, alcohol, and benzodiazepine abuse epidemics. Guest Scientist, Biology, at Wm Paterson U (Cannabinoid Research Lab). Teaching Pharmacology subjects including drugs for respiratory diseases and safety issues for controlled substances. Dean’s Professor, University of The Sciences, Philadelphia, (Cannabis policy, education, science). Presentations on Cannabis and cannabinoids at Pennsylvania Pain Society, College of Physicians of Philadelphia, The Emerald Conference, Women Grow, U of The Sciences, Amer Society of Healthcare Pharmacists; co-chaired regulatory panel at 2017 Cannten (Israel). Author of > 70 aggregate drug safety and 60,000 single case adverse event reports for FDA. Voting-/advisory-level memberships on pharmaceutical company labeling review, and medical/legal boards, as well as promotional materials committees. Medical Monitor for clinical trials for pain, cancer, MDS/AML, sleep apnea, depression, and ADHD. Successful interaction with FDA and other regulators during audits and safety issue controversies. Identification of drugs requiring thus receiving FDA class label changes and new drug interactions. Identified falsified data and opioid analgesic label discrepancy liabilities. Responses to FDA warnings.